We all seek recognition and want to make a contribution but above all we want to create – even if we are not paid for our creations. The existing social networks, having evolved into big multinational corporations, successfully exploit those desires and sell what we are giving away for free. The networks are simultaneously getting over-centralized and more chaotic. As individuals and online communities become more self-aware, the uneasiness and the feeling of insecurity grows. But recently it has dawned on developers, entrepreneurs and investors that Blockchain could be the technology to provide for a new, promising social network paradigm. The openness of the crypto space is what makes it such a great environment for anyone who wants to try something new. New platforms and networks are emerging with social interaction based on blockchain, rewards depending on reputation, social activity and the value created by users. Such a decentralized network isn’t just a more authentic reflection of real life– it’s a projection of what real life interactions could be, and should be. 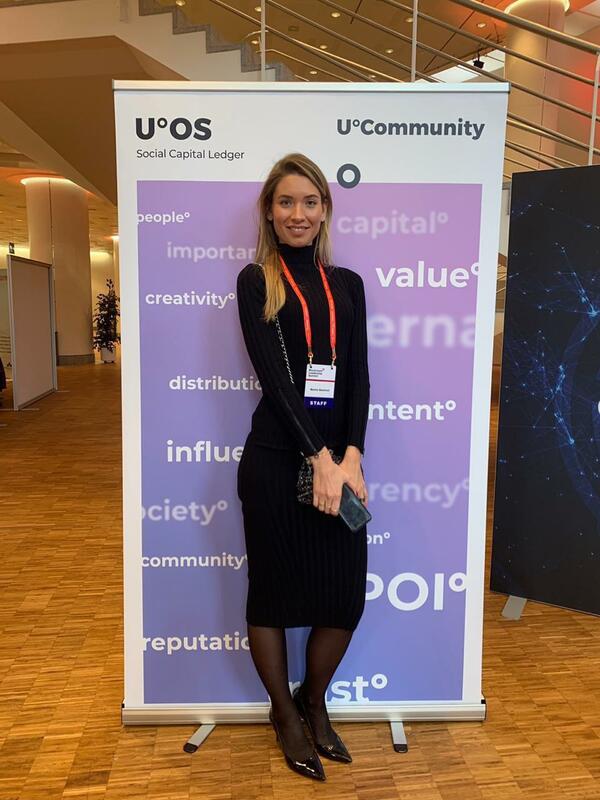 A recent project that has been launched in this area is U°Community – a social platform with a transparent, dynamic reputation system. It is built on the U°OS blockchain-protocol and provides an opportunity to capitalize on social interaction through the DPOI consensus algorithm. It allows users to create content, interact with others, run a business and build dAPPs on the U°OS blockchain-protocol. Nowadays, against a backdrop of a developing information society, human capital is becoming one of the most valuable resources. Extremely advantageous tech products shall unite people and assist in popularizing certain ideas. The technology itself is required for the purpose of its utilization and helps to solve certain ideas for the benefit of humankind. So, technology on the base of U°OS blockchain protocol creates an environment for a more effective functioning of autonomous and decentralized communities/organizations. DPol is a high-performance, energy effective, network growth-inducing algorithm that rewards network participants for the system’s economy enhancing operations. Delegated Proof of Importance is an upgrade to the existing blockchain solutions, that integrate the concepts of the Delegated Proof of Stake (DPoS) and the Network Theory. The U°OS team with Eric Gu from Metaverse. “What I mean is that there was DPOS, where selected delegates have control over the network, and PoI, used in NEM, where economical activity of an account gives him an opportunity to get emission. We have combined these principles and in our DPOI consensus we added the element that takes into account social interactions. It allows for unlimited potential use-cases for U°OS blockchain via API for DApps, first of which is U°Community – a user-friendly interface to our blockchain”. Long before the world wide web connected cat video enthusiasts everywhere into a global community, social psychologists used a theory of knowledge called social constructionism. They noticed the emergence of communities that could not be fully explained by cultural, social, demographic or geographic categorizations. Basically, any group of people sharing some common interest can be defined as a community, if they admit their belonging to the group. In other words, a community is a group of people who are, unlike Groucho Marx, happy to become part of a club simply by virtue of being viewed as a member, by older members of that club. But the immediacy and anonymity of online communities have taken this concept much further. Today physical appearance, distance or command of a particular language do not pose barriers for interaction within any group. All you have to do is show up and contribute in good faith. Recently though, the “good faith” part is becoming a bit of a problem online. The Internet was originally created as a small network of trusted participants with scientific goals– in fact, there was a phone book with everyone’s names, phones and addresses – so questions of security and identity were not an immediate concern. Now, we are drowning in the chaos of info signals. The flow of information and social interaction has become a smokescreen, through which it is very difficult to discern what is actually happening. The confusing crypto landscape can be intimidating for beginners. It might seem that Blockchain is all developers and investors, but that is emphatically untrue. The Blockchain community could be described as a loosely formed constellation of more tightly knit sub-groups. Entrepreneurs– startup founders who are increasingly not just Stanford-grad white boys anymore. The more far-flung possibilities of the way Blockchain can quite literally change the world are prophesied by Evangelists – eloquent and vocal enthusiasts who get big Investors excited, thereby helping Entrepreneurs make their case. Some of the Investors are also taking long-term stakes in cryptocurrencies, where a swarm of Traders are playing the highly volatile crypto market for daily gains. Some cross-sections of the groups are emerging, such as the growing Women in Blockchain movement, and the conference circuit in general. The Twitter expert-verse is populated by representatives of various Blockchain groups, offering sometimes useful, sometimes biased commentary on current crypto events. Of course, there is much more to the Blockchain community – no description could be exhaustive with such a dynamic and fast-growing network. But where does this community interact? And how do small investors and everyday users, the real drivers of new tech adoption, fit in? We want not only to communicate and exchange information but also we’re looking to exchange values. We are sick and tired of the intrusions into our privacy, we expect fair play that the existing networks can’t provide us with. The goals of Blockchain network scaling can’t be achieved without widespread adoption, which in turn can’t be achieved without simple products, with intuitive interfaces fulfilling universal needs. The existing Blockchain community must put the average beginner user first. There is a need for a single ecosystem where participants can communicate, execute financial transactions and smart contracts, store and transfer funds, create and consume content, build custom decentralized applications, form and join organizations, and monetize any of their activities with fairness and respect toward other members of the network. With changing algorithms and monetization, likes on social networks have long ceased to have any real meaning. But what if they could? What if likes could have the social weight of a Forbes 100 CEO recommendation and the financial power of a direct-to-deposit donation? What if you could build a reputation that would give your opinions high value, and be rewarded for the value you create for others? What if all participants were incentivized to represent themselves truthfully and build reputations by consistently acting in good faith? We have become used to our online activities being monetized by companies that provide the scaffolding for these transactions, without compensating the actual creators and owners of the content. Only in a decentralized network can social capital– the sum product of active community participation– be converted into real capital for the users. At the moment, the dream of self-realization in the global community is literally sold to internet users – in exchange for their content and connections. But self-realization can, and must, be accompanied by compensation for added value. Blockchain allows you to create a user-controlled mobile identity. More than a profile, you can selectively open various data about you that will help ensure interaction. Perhaps the Blockchain model of collaboration could eventually spill over into the way humans address each other in person, on the individual, organizational and governmental levels. Wherever new technology is involved, it’s worth bearing in mind that all progress should serve real, existing human needs as opposed to creating artificial needs for the purposes of corporate profit. The human need for community and support is one of the most basic requirements for a healthy society. New types of online communities can harness Blockchain technology to bring the transparency and collaboration of real human interaction back to the Internet with decentralized networks. Unlike Facebook and other centralized social networks, some emerging new platforms like U°Community offer not just the ability to reach and transact with other participants, but also the confidence of knowing who is behind every profile and the understanding that, by becoming part of the network, everyone subscribes to the same values. This could be an environment where truly anyone can contribute a verse, as experts collaborate with newbies on developing a vibrant ecosystem. Previous Article Can blockchain break shackles of 40 million people caught in modern slavery?